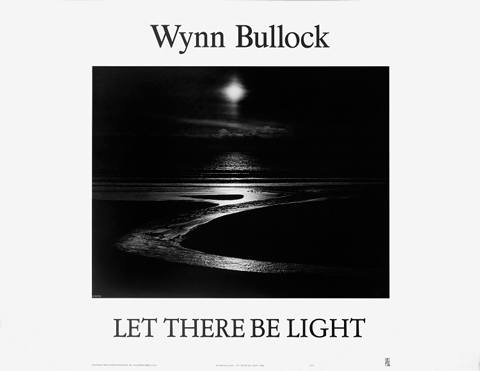 "Wynn Bullock: Let There Be Light"
Along with Wynn’s image of Child in Forest, Let There Be Light achieved international acclaim by its inclusion in the famous Family of Man exhibition. It was the show’s curator Edward Steichen who gave the image its title by quoting the biblical passage in Genesis 1:3. This strikingly beautiful poster is printed on premium-quality stock and measures 29" x 22½".